Hundreds of families in Southwark have spent the night in makeshift shelters after yesterday's discovery of a second world war bomb in Bermondsey. Two schools were shut down, shelters were set up at a library and leisure centre for people not allowed back to their homes. Southwark Police has launched a murder investigation following the death of an 18-year-old man. Officers responded to reports of a stabbing in Pilgrimage Street, SE1 yesterday afternoon. The teenager was pronounced dead at the scene. The body has yet to be formally identified. However, the next of kin have been informed. 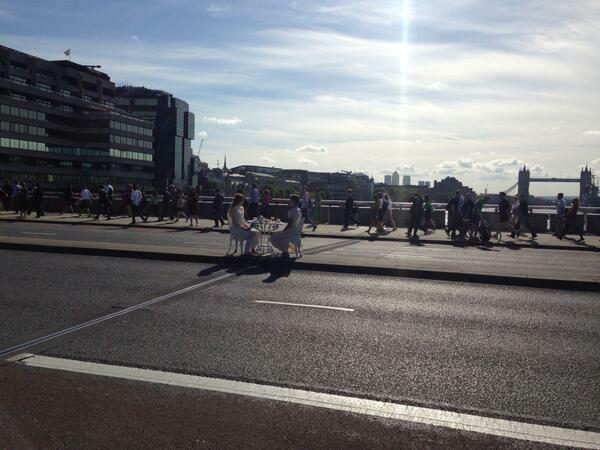 A 18 year old has died after being stabbed in the street in Southwark this afternoon. Emergency services were called to Pilgrimage Street around 2.30pm, but the man died at the scene shortly after. Police say they are still investigating the incident and no arrests have been made so far. Southwark Police responded to calls from the public about a 'suspicious object' left next to a Tube station this afternoon, fearing it could be a homemade bomb... only to discover it was a cushion. Units have responded to a report of a suspicious object in #SE1. Happily turned out to be an abandoned cushion. Southwark Council is to approve a 20 mph speed limit on nearly every road in the borough, despite objections from the Metropolitan Police. Council workers were left red-faced after misspelling the word 'vehicle' in an electric car parking space. The space, 100 yards from the Transport for London office on Blackfriars Road in Southwark, have been especially marked out for green cars so they can be charged. Unfortunately, they have been marked out as "electric vechichles only". The error was spotted by Tim Clark who told the Metro: "It was only when I spotted this eye-catching Renault Twizy using it that I noticed the awful typo". It's the most unlikely place to unwind to have a nice relaxing cup of tea. 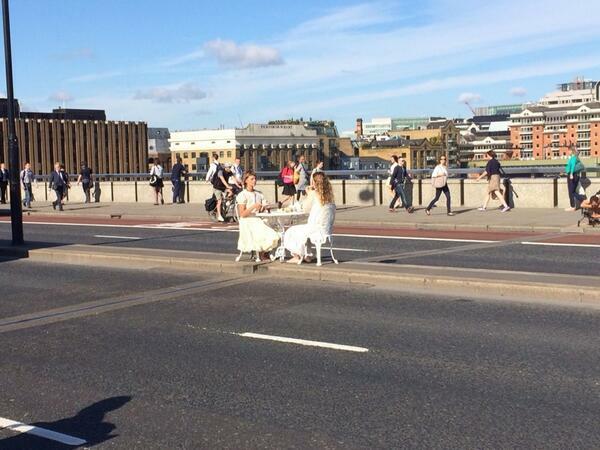 But despite the hundreds of tourists and relentless flow of traffic, two women dressed up and casually had a brew in the middle of London Bridge on Monday. No one's quite sure why they chose such a unique location. Police have arrested a 31-year-old man in Kent over a suspected homophobic attack in which a clubber was sprayed in the face with bleach. Police investigating an incident which took place in the early hours of Sunday, 8 June where three men were sprayed with a substance, thought to be ammonia arrested a 31-year-old man yesterday (Thursday, 12 Wednesday, 11 June) in Kent on suspicion of committing grievous bodily harm (GBH). He is currently in custody at a south London police station.